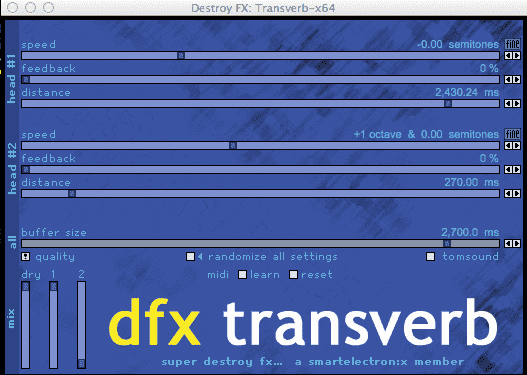 Some month ago, a funky guy on KVR forum asked if it was possible to compile the ultra-old-but-still-good Transverb VST plugin from DestroyFX for Mac OS X in 64 bit. The plugin is open source, so it MUST be possible. For Windows, it’s a matter of minutes, to compile a 64 bit version for a VST : just keep the antediluvian VSTGUI version and don’t care about. But on Mac OS X, the 32 to 64 bit upgrade means : change from Carbon to Cocoa ! Heureusement, The VSTGUI is Cocoa-compatible since 3.6 or something like that. So you have to upgrade from incredibly-old-version-of VSTGUI to the latest. If you know some old plugin that NEED to be ported to 64 bit on Mac don’t hesitate to name. is it possible to compile this old guys, for win(x86)? ..
Don’t they already exist on Windows ? they not updated for long time and have bugs.. Geometer, for example, not stabile under Fl, etc..
Hello, It would be super awesome to have a modern 64-bit version of Detroy FX dfx Buffer Override for macOS. It’s hands down the best buffer effect of all time. I used it a lot back in the days, playing it like an instrument using hardware MIDI controllers. It was very responsive, reliable, predictable and controllable. A real joy to use. I never found a worthwhile alternative. 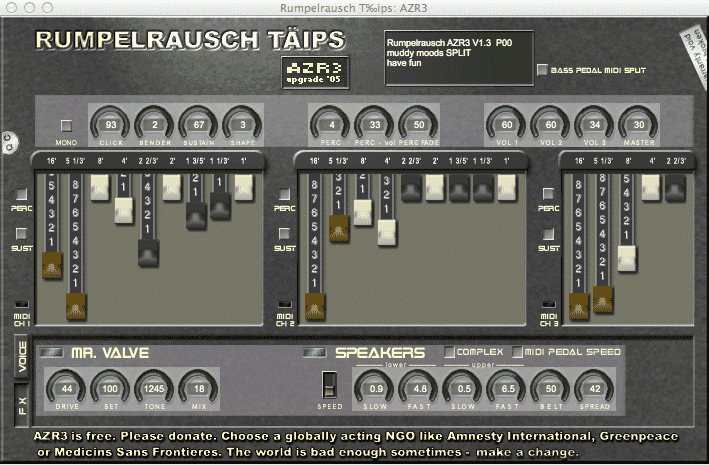 I’m currently using the newer AU version, loaded into a DDMF Metaplugin VST instance. It loads this way and processes audio. Unfortunately, MIDI and native automation don’t work well enough to make it usable: too much lags, drop outs and unpredictability. I’m not a coder unfortunately, so I can’t help much in this area. However, I am very familiar with the plugin as a user and would be happy to betatest it.